Tucked away South of Indiantown Road and East of US1, next to Carlin Park is the community of Sea Palms in Jupiter, Florida. Sea Palm consists of 40 townhomes, offering two to three bedrooms and 1,300 to 1,800 square feet of living space. Sea Palms residents can enjoy the community pool, easy beach access, picnic areas, a clubhouse and all that Carlin Park has to offer: walking trails, amphitheatre (free music concerts, Shakespeare by the Sea), festivals and food trucks. 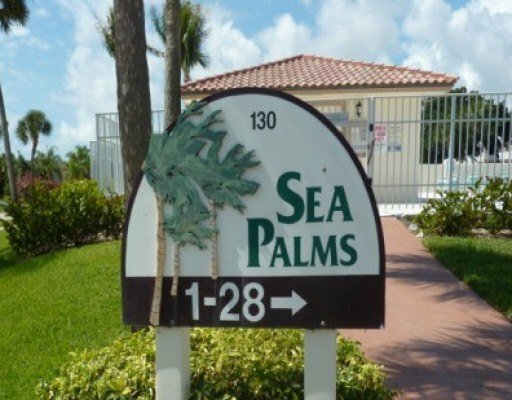 Sea Palms is centrally located, close to Jupiter Dunes Golf Club, the Maltz Theatre, Riverwalk, beaches, dining and shopping.